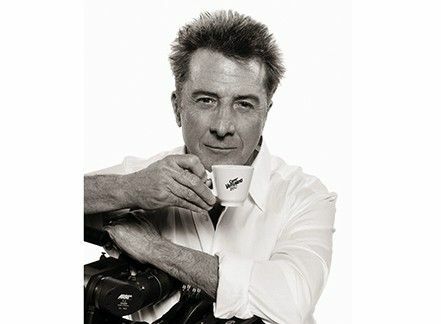 Dustin Hoffman intervistato da Caffè Vergnano | Il caffè per chi lo ama: Coffee&News. Da Caffè Vergnano. Does Dustin Hoffman like to share his coffee ritual or he rather prefers to stay alone? Both, I like to share and drink alone. 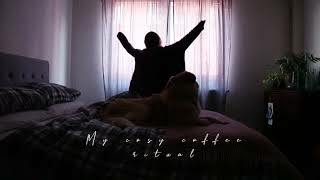 I am the first one to get up in the morning, and I make coffee for everyone. Before anyone gets up, I have my first cup of coffee. When my wife wakes, I prepare her first cup just the way she likes it with steamed milk and cinnamon. We sit together enjoying our coffee, planning the day, and reading newspapers. People say that in Italy everyone chooses a different coffee, but we are sure that for Americans it’s the same. I’ve been drinking Vergnano Express Dolce ‘900 for years. When I make coffee for myself in the morning, using fresh coffee beans, I do like to add a little non-fat heated milk. Coffee can be a good excuse to meet someone… With whom have you used this justification? Interesting, but I don’t do this. I never say to anyone—’Let’s have coffee.’ I may invite for a meal . . . , but meeting for coffee is not part of my routine. Which is the most significant coffee you’ve had​ during shootings? I don’t have a coffee routine while working. I am sensitive to caffeine, and I do limit it to my morning coffee. Once in a while, during a work day, I may have an afternoon expresso for a boost. I don’t know how to answer that . 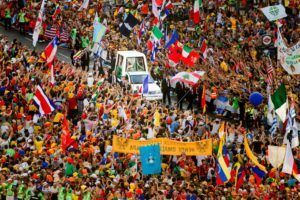 . .
SONO VIETATE LA RIPRODUZIONE (ANCHE PARZIALE) E LA CONDIVISIONE DEL TESTO.